Grandmother Moon shows her fullness for the last time in this calendar year in Mother sign of Cancer on Christmas day! “This Christmas a beautiful Full Moon will shine on us, but also look for unexpected surprises under the tree as Uranus turns direct. “This holiday, expect the unexpected! Or do the unexpected! Like turn off all your electronic gadgets and talk with people. “A Full Moon energizes us in many ways. It pulls at us physically and emotionally, just as it creates big tides in Earth’s waters. “This Cancer Full Moon will bring up issues that relate to our truth and our purpose—those beliefs that make you who you are. “Are you living your truth? Are you standing up for your beliefs? Are you being nurtured by your work and is your work nurturing to the world? “When you cultivate your inner life. Your Inner Being. Your soul light increases and radiates out to nurture others. This is real beauty. You ultimately realize that home is inside of you. It is the light of your own heart. “Uranus moves direct at the time of the Full Moon. This is a cosmic message for you. It is time to make real changes in your life. Surface changes will not work. It is time to dig deep. What needs to change for you? “…The Cancer Full Moon speaks to the power of your emotions. Feelings are your indicators. Feelings show you that you are on the right path. . You create music, art and writing from the passion of your feelings. “Cancer rules feelings. Cancer is about your soul power. You are being asked to nourish and nurture you. “Be true to your needs. Allow your feelings to guide you because your feelings are your truth. You may be extra sensitive so take good care of you. “This is a special Full Moon. This is the first time there has been a Full Moon on Christmas since 1977, thirty-eight years ago. It was the year that we discovered Chiron. It was also the year the first Star Wars movie was released. “This is the sign naturally associated with family and the archetype of Mother so at this time of year when family gatherings are uppermost in many people’s minds, this energy fits very well. Feelings are heightened, our sensitive side is showing. “This is perfect for spending time with those we love but with the Moon opposite the Sun in Capricorn and bearing in mind Full Moons can be about crisis just as much as culmination, there is a suggestion that any fractures in family relations could be emphasized by this overly emotional Moon. “But for those of us without family, for those who are alone without choice, it will be important to monitor the flood of feeling that can arise at this time of year under this highly emotional Moon. “Surrounded by glistening images of perfect family Christmases and besieged by romantic movies, it can be hard, Capricorn hard, to feel left out in the cold. “There is the potential to bicker…Whilst power dynamics are often a big issue in families that need to be addressed at some point, this may not be the time to do it. Mercury is square Mars in the Full Moon chart so conflicts are ill-advised, especially those that simply try to make a point. “But there’s no need to sink into a sozzled mess in the corner because this Moon does have much about it that is conducive to warm celebrations. It’s about accepting the roles as they are – even just for one day. “It’s about showing unconditional love, even if your sister/friend/lover/in-law or child is driving you around the bend. “It’s about remembering that we are all different (Uranus is about to station direct on Boxing day) and to keep communications positive with a Mercury trine to Jupiter perfecting just after Full Moon. “What a delight! 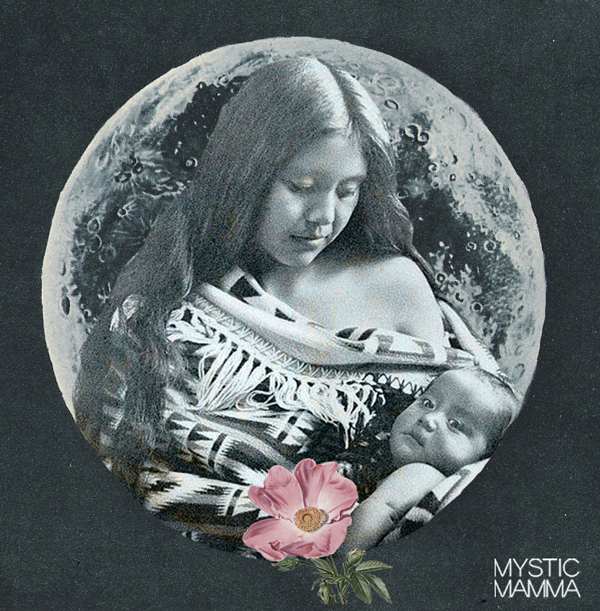 The Full Moon in Cancer, the sign of the Mother, peaking on the day celebrating the birth of Jesus and very close to the Winter Solstice point. “Solstice is one of the most powerful points of the year as the axis of the Earth pauses, shifts and moves in the opposite direction…For three days around the solstice points we experience the power of the standstill point and the shift of direction. “You can expect some unexpected shift in the area where Aries rules in your chart, perhaps your ideas will gain some traction in the weeks ahead, or unexpected opportunity will present it self, or maybe a new attitude of relying on your own inspiration and inner direction will emerge with vigor. “Uranus is like a giant surge of electricity and can blow out anything not in alignment with the frequency of your future self. Uranus is the energy of liberation, awakening, and innovation. Practice and invite in change in your life at all levels. “Cancer is where we create a home for ourselves where we can feel secure enough to express our emotional needs and get our needs met, where we learn to nurture ourselves and surrender to the comfort of habits. “The Moon is Cancer’s ruling planet, so she is especially magnanimous and rich in emotional energy, nurturance, receptivity and reflection in her own sign. “In this proximity to the Climate Change Summit, we heard much about measuring our CO2 emission levels, but not enough mention of the Earth as our Mother or respecting the planet as a sacred, living being honoring her rhythms and cycles and her gifts of fertility, birth and death. “This Moon squares Vesta in Aries pointing to the lack of commitment to our more feminine emotional and intimacy needs. “We all are gaining in our abilities to bring harmony to our masculine/feminine polarities that will in the end make us whole. Honor yourself for what you have been able to forgive and let go of this year. “You’re going to have to utilize your best communication abilities to keep neutrality and civility operating. An unexpected blowout might just clear the air though. “Luckily, Jupiter in Virgo is trining (ease) Mercury, so our better judgment and higher Self will most likely win out. Venus, too, is willing to add social grace, harmonious vibes and a feminine perspective to Mercury’s predicament. “All in all, with Cancer’s delight in gathering of the tribes and her rulership of food, hearth and home, the feminine aspect of each of us will most likely create a nourishing environment of good memories, nostalgia, and connection through the heart. FULL MOON Blessings to all our hearts and a very Merry Christmas to those celebrating! Wonderful. Blessings and much love & thanks to all. What a very special Christmas moon! Thank you for sharing! great insights! love and hugs from México for everybody!! Beautiful and validating a Christmas moon ceremony is in order! Thank you for all your wisdom! Merry, blessed Christmas to All! Let the light of power and love guide what is yet to come. On a very serious note, I went to praise this full moon, something I had never done before but felt drawn to it when I awoke at 1am EST 12/25/15. It felt as if the barriers between dimensions had lessened and an entity of great power came to me, like crazy powerful. Anyways just thought I would reach out and share my experience, peace. Lovely!! Merry Christmas to all. Love you MM. Anyone else notice the moon went full at exactly 11:11 GMT? Thank you for that beautiful message! Happy Yule! Thank You, Blessings, Merry Christmas To All! It felt like being full ;-), well full moon… but there was more to it…end of a cycle, the 2012-2015 cycle and all the planets going direct, kind of like the highway that really gets us out of these 3 years of intense integration! Wonderful message of hope for the new year! The full moon on Christmas was the first in many, many, years. It will bring peace to many lives, and I for one, charged my crystals, and said a prayer, under the moonlight. Perfect.Thank you all kindly…Wild fight today lead me here to hear. Excellent…and always trippy to receive my messages! !